Club Balattou is tiny. You walk in off St. Laurent, one of Montreal’s main drags, and you’re looking directly at musicians on stage just ahead to the right. In fact, you have to walk right in front of the stage to get a drink at the bar. Little has changed here over the years. Same mirrors on the ceiling and walls. Same 80s logo in purple neon splashed over the bar. Even the carpet is the original from when Balattou opened in 1985. A Guinean kora player named Yamoussa Kora was the first act. As Kora’s band Thousand Colors kicks in, a quiet man with darting eyes and a black ski cap hunches by the door. He wears a baggy fleece over an African batik. Occasionally he offers a handshake or a hug, or leans in to share a confidence as stragglers wander in. You’d never know it’s Lamine Toure, Club Balattou’s owner and founder, a sort of godfather of African music in Canada. In the 1980s, Toure lured some of Africa’s biggest stars to play in little Balattou when they were selling out stadiums in their home countries. Papa Wemba and Baaba Maal made American debuts here. Salif Keita, Yossou N’Dour, Angelique Kidjo made early appearances, too, as did Congloese soukous band, Loketo. Toure was born in Guinea to a successful African trader. He followed his father on trips to Mali, Senegal, Congo and learned the language of business. When he was 13, he became a dancer with the National Ballet of Guinea and toured across Africa and Europe. When Café Creole closed, Toure decided to open a club of his own. “I wanted to make something that automatically said it was a club for everyone,” says Toure, “all races and cultures.” So he coined a word in French – Bal-a-tous – “dance party for all”. 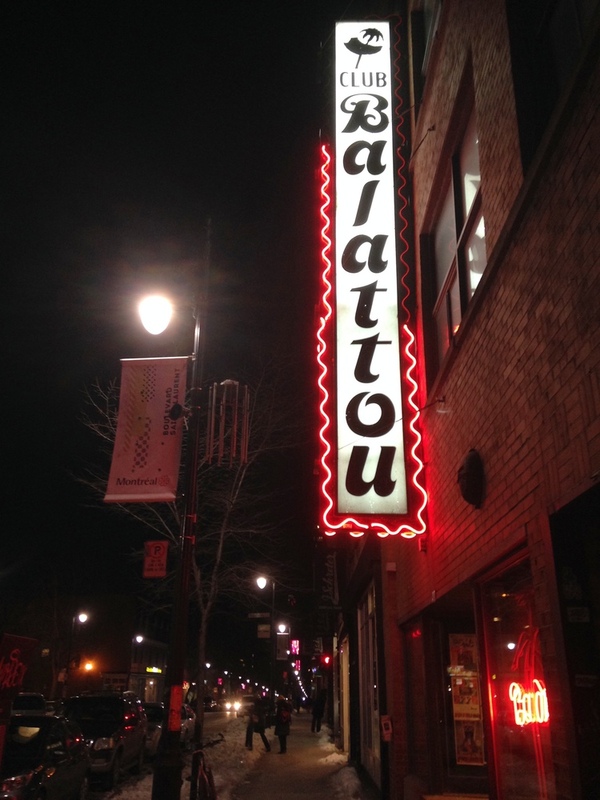 That became the name, Club Balattou. 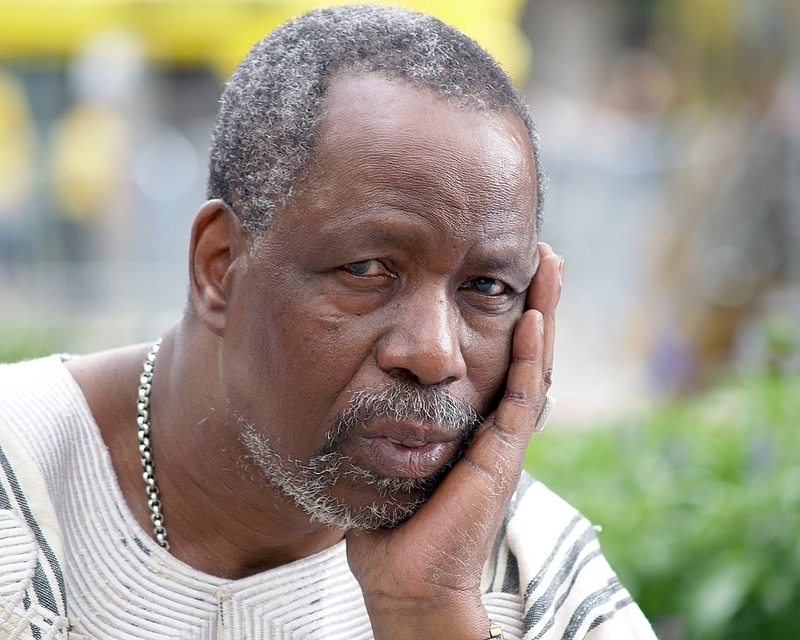 As Balattou became a must-stop for African musicians, Congolese artist Dally Kimoko even wrote a song about it, called “Balattou a Montreal.” Today Club Balattou holds an annual summer festival all over Montreal that attracts almost 200,000 people. It’s called Nuits D’Afrique, and it showcases world-famous acts from Africa, Latin America, and the Caribbean. Watch a typical concert at Club Balattou here. David Sommerstein is a reporter and Assistant News Director at North Country Public Radio (NCPR) in Montreal, QC.